Springs will often form along faultlines because of the inconformity the fault produces allowing the groundwater to percolate to the surface. When a spring on the fault comes up in a low spot, it will pool and form a "sag pond." 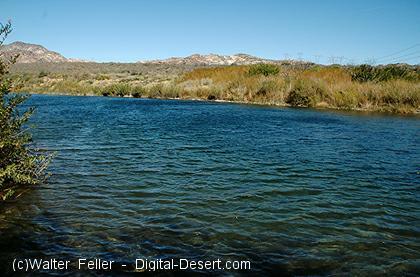 Lost Lake is such a sag pond forming as a result of the San Andreas fault.